Budhi graduated with a Computer Science degree but pursued his passion for English teaching right after graduation. 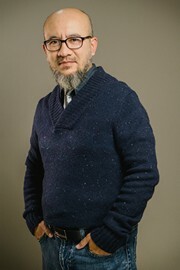 After teaching English and editing & translating English texts for eight years for a reputable English course, he continued his professional career as an editor/translator at The SMERU Research Institute in 2006. He has assumed the position of Publications Section head since early 2018. Budhi spends his first 12 years at SMERU editing and translating the institute’s Indonesian and English publications. In early 2018, he was assigned to manage the Publications Section. The job involves supervising subordinates in order that all publication-related work runs well and meets all targets as planned. Prior to joining SMERU, Budhi worked as an English teacher, test editor, and voice over talent for LBPP-LIA, as well as a freelance English translator.